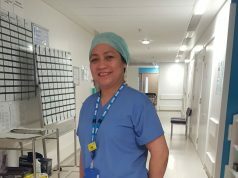 Innovations and inventions made by Pinoys may not be as “scientifically out-there” as what Filipina physicist Reinabelle Reyes did when she proved Einstein’s Theory of Relativity correct. But they all share one thing in common: the creativity, passion, and great ideas borne from Filipino minds, no doubt about that. And to prove to you that the we have what it takes to be world-class inventors and innovators in the field of transportation, we’re giving you some of the most promising ones we’ve found here. It would be great to imagine a tricycle that can go on land and water, but inventing one–and owning it–is FAR better. And the fact that what you created was once driven by Anne Curtis and mentioned by Corina Sanchez on her show are bonuses themselves. This amphibious tricycle can seat six people on land and four in water. It’s powered by a 5KW electric engine or a 250cc gasoline motor. He currently has two working prototypes, with two power plant options: electric or internal combustion. For someone who has achieved favorable success in his business, what’s his reason for creating the Salamander? It’s mostly for philanthropic reasons. Aside from giving back and showing the world that “the Filipino can,” he also wants to leave a legacy behind. Llave hopes that the government will help fund his invention so he can further develop the Salamander. A car engine that runs on water may be something out of a science fiction novel, but it’s really not that far-fetched. In fact, just ask Noli Dazo, who discovered a way to make a vehicle run using nothing but H2O. 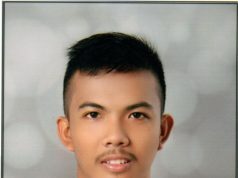 A graduate of Southern Nevada in Computer Science and Engineering, his “Tubig na Gasoline” or “Dazo Water Fuel Hydrogen” even made him an “Outstanding Filipino Inventor of the Philippines” in the field of Innovative Products Invention. What’s more, it’s cleaner and more powerful compared to diesel or gasoline. And since it fully ignites standard fuel going inside the engine, it has better improved power that needs less fuel to produce the same speed as a standard gasoline or diesel engine. It also produces a lot of steam, which will cool the engine and get rid of old carbon deposits inside. Normally, a car can only burn around 70 percent of injected fuel, and the remaining 30 percent are often emitted smoke in the air. 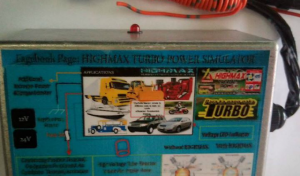 Highmax Turbo Power Simulator (HTPS), which is invented by 46-years old, electrical and electronics technician Junior de Jesus, helps push fuel-burning to 100 percent. According to de Jesus, HTPS works just like a power booster that allows a car to run faster without adding more fuel. It “converts atmospheric air into ozone and hydrogen/nitrous oxide before it enters the engine to enhance fuel burning efficiency.” The result: less fuel consumption. Last year, HTPS was awarded financial and technical assistance by the Department of Science and Technology (DOST). Interestingly, de Jesus has also invented a unique mobile security alarm called the “Call Alert Security System,” which can be used in cars and businesses. It works by setting off an alarm after 25 seconds, and then stopping the engine for good. This allows the owner to search for his stolen vehicle with a tracking device via a mobile phone. De Jesus added that GPS isn’t needed to trace a car, since the owner also has the added option of installing a video camera. He’s a US-based chemical engineer, but he was born in Bacolod City and graduated from Adamson University. Dr. Leonardo Gasendo created a self-charging vehicle that could travel multiple roundtrips from New York to Los Angeles without consuming the entire charge of its on-board battery. 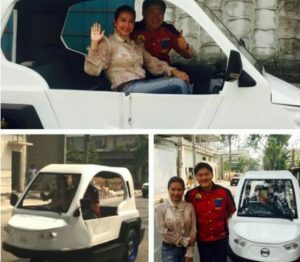 His vehicle, the Long Distance Electric Vehicle (LDEV), was granted a U.S. Patent by the United States Patent and Trademark Office last September 13. According to him, the LDEV uses two battery chargers: the KEC and KER. “They help convert wheel vibrations and cruising speed into electricity, thereby charging the on-board battery during transit,” he told Manila Times. “Going downhill, the LDEV is able to convert the earth’s gravity into electricity to charge the on-board battery with zero consumption of electricity. An electric car will be able to travel 1,610 kilometers without exhausting the electrical charge of the on-board battery using an LDEV,” he further explained. The LDEV is just one of Dr. Gasendo’s various inventions over the years. Many of his other patented inventions use natural and renewable resources like wind, ocean waves, and even river currents. And the inventor? It’s no other than Elma Alboleras and her co-inventor, Rodel de Guzman. The iBus came into conception when a bus suddenly stopped to pick up a passenger in front of de Guzman. He was driving with his father in Quirino Highway that time. Trace and monitor buses via machine-readable tags. Alboleras presented the iBus to the MMDA in 2011, and made a huge impression with then-MMDA Chairman Francis Tolentino. 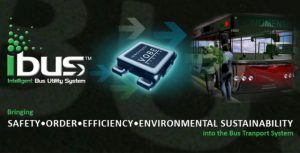 MMDA tried to test the iBus system in some buses, but no further actions have been taken since then. supplemental fuel, his invention, the “Hydrogasifier,” can be used for any type of internal combustion engine that utilizes diesel, gasoline, hybrid, natural gas, and even bio-fuels. According to Celis, the hot exhaust gases split water into hydrogen and oxygen gases, and are immediately transferred to the combustion chamber to completely burn fuel. Celis primarily developed the “Hydrogasifier” as an anti-pollution device. However, he was surprised to see that it also served another benefit: an engine enhancer. It helps increase the car’s power, and simultaneously lessens fuel consumption (gas or diesel) from 30 to 50 percent. What’s more, his invention is also similar to trees, since they actually release around 6.5 to 7.6 percent oxygen from the tail pipe. Celis has appealed to the government for financial help in patenting his invention internationally. truck named the Anos Fire Ambulance and Rescue Vehicle (AFARV). Invented by the late Alfredo M. Anos Sr., this “Godfather of Filipino Inventors” has created a rescue vehicle, fire truck, and ambulance in one. “Its triple capability allows firefighters and emergency workers to simultaneously put out fire, rescue people and animals, and provide first aid treatment to the injured. 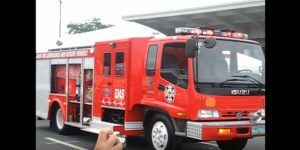 The ambulance and rescue fire truck uses compressed air foam system that is five to seven times more efficient than plain water in putting out fire,” he said in an interview with the Manila Bulletin. Anos Sr. continues his legacy with the family-owned business, Anos Research Manufacturing. Aside from the AFARV, their company is credited for creating the “Penetrator” and the “Patriot” fire trucks.